Tetsuuuo! Kaneda's bike is real. 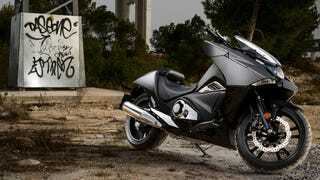 It's called the 2015 Honda NM4, it's on-sale in America, and yesterday, I was one of the first journalists to ride it. Spoiler Alert: It really does feel like it belongs in Neo-Tokyo.